One of our key priority areas is leading and developing the children’s sector workforce. A key part of this is our learning and events programme, which is tailored to meet the specific needs of the workforce in Scotland. Our diverse programme is designed to strengthen your knowledge and practice. Why choose Children in Scotland to support your CPD? · Allow them to plan how to implement their learning in the workplace. Our team can take care of everything, ranging from talking through your requirements to sourcing experienced trainers, ensuring the event is tailored to your needs, and providing an evaluation report afterwards. No other training provider knows the sector like we do. With more than 500 members, we are at the heart of the sector and can call on trainers with a huge range of backgrounds and expertise to deliver your training. All our trainers possess the qualities and skills we believe are vital to our success in delivering training of a consistently high standard. We want you to arrive at our events with high expectations and leave inspired, with skills and understanding that help you make a positive difference to children’s lives. We've launched our programme of courses for Spring-Autumn 2019! As we mark our 25th anniversary, we’re more eager than ever to move into our next 25 years as the children’s sector’s leading multi-disciplinary learning and development provider. With this in mind, please do get in touch with your ideas for topics, speakers and learning events. 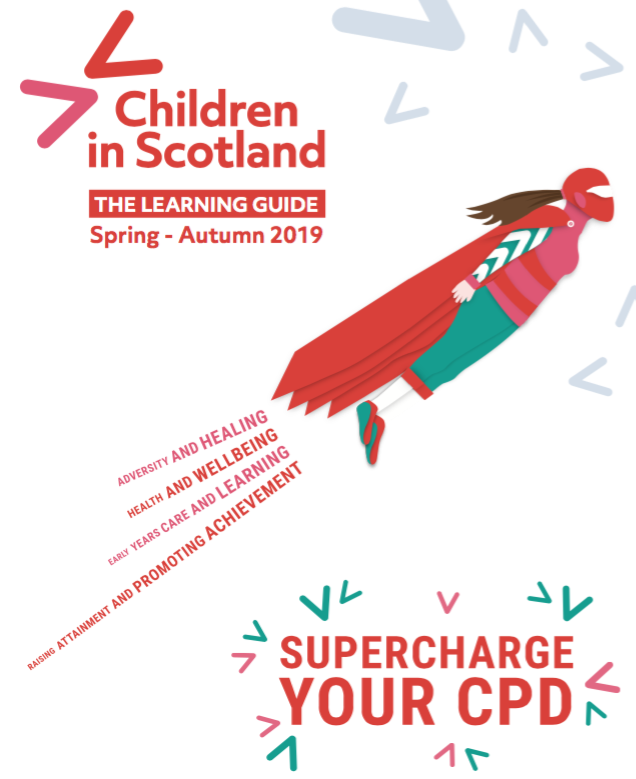 All members of Children in Scotland can take advantage of our programme of free multi-disciplinary training and events, plus discounts on all training and events (including in-house training). Access our list of upcoming free member events. Find out about our Members' Forum events for members. Please watch our short video, giving directions from Haymarket Station to our office. Our diverse programme is designed to strengthen your knowledge and practice. We want you to arrive at our events with high expectations and leave inspired, with skills and understanding that help you make a positive difference to the children and families you work with or on behalf of. On this page you can find information about our range of learning and development opportunities available to everyone in the children’s sector. We also encourage you to become part of our network to ensure you get up-to-date information about what is on offer via our e-newsletters, social media or our bimonthly magazine. We have great spaces available for hire.